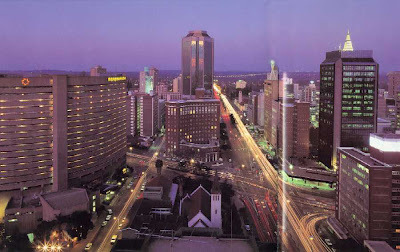 HARARE – Zimbabwe will host the Africa Forum Conference in April 2019, which is being organised by the Chartered Institute of Logistics and Transport Zimbabwe (CILT). Africa Forum Conference is one of the CILT’s international events planned in each calendar year, the other two events being the International Convention to be held in Manchester (UK) and China International Development Conference planned for China in November. The conferences bring together professionals, senior government officials, development funders and policy makers from various countries across the continents to address issues pertinent to supply chain, logistics and transport in order to inform policy directions and global interventions. Its focus is on three pillars of capacity building — human, financial and infrastructure capacity. It will future seasoned local, regional and international speakers from development and financial institutions, high ranking government officials, captains of industry and commerce, among others. “We are excited about this development as it provides our country with a platform to market itself as a safe destination for tourism, centre of excellence for various forms of business engagements and a perfect environment for investments. “It’s a rare opportunity as this year’s conference which coincides with our centenary celebrations, where we celebrate 100 years of existence as a professional institute in supply chain, logistics and transport, is coming to Zimbabwe for the first time in 100 years,” Demba said. “Engagements and re-engagement efforts by the highest office under the ‘Zimbabwe is open for business’ are yielding results as other countries are warming up to the call. The conference is expected to host more than 400 delegates and 30 CILT member countries globally having countries like Nigeria, Zambia, South Africa, Uganda, Ghana, United Kingdom and Poland confirming participation already,” he said. The CILT is a leading professional body representing supply chain, logistics and transport industries worldwide. It has over 30 000 members in over 30 countries. Formerly the Chartered Institute of Transport, it was formed in 1919 in United Kingdom and was granted its Royal Charter in 1926. Growth of its overseas sections led to a restructuring in 1994 under which 10 national councils were established in various parts of the world.